Summer is here, literally (! 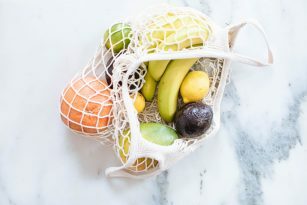 ), which means the sun is beaming, weekends are spent poolside, refreshing drinks are in hand, and my favorite of all, summer fruits and vegetables are at their peak! I’ve shared a bit about CSAs before, and one in particular that I get during this time of year is from my farming friends at Bloomsbury Farm. It’s really great to utilize in season produce when you can. Today I want to shine some light on how to cook and use summer vegetables so you can navigate it simply this season! Did you know there are some foods that retain best nutrition when eaten raw? The same goes for some foods that are better when cooked! When the weather is hot in spring and summer, it’s a great time to be creative with raw recipes from smoothies, raw desserts, salads, dips, and even soup that are cooling and easy to make. (nutrition) stripped: vitamin C, B vitamins, and some minerals like magnesium and potassium are heat-sensitive, meaning those vitamins/minerals will decrease when cooked. It’s a great reason to try eating summer foods raw – try raw cucumbers, peppers, strawberries, asparagus, and blueberries. This doesn’t mean you shouldn’t ever cook these foods because some folks need cooked vegetables for digestion reasons, etc. It’s just a great reason to try more raw recipes and get the peak nutrition you can. Recipes to try this summer! Using simple marinades makes enjoying vegetables a breeze, especially great for those of you who may have picky eaters at home or if you need a little variety boost in the veggie department. Some of my favorite marinades are vinegar or lemon juice based with a kick of fresh herbs and seasonings depending on which vegetable we’re cooking. The marinade formula: it can be anything from your favorite store bought marinades, Tessemaes and Hilary’s are my favorites to use, otherwise I’ll mix olive oil, raw apple cider vinegar, sea salt, black pepper, minced garlic, an herb that I have on hand (i.e. rosemary, basil, parsley, dill, etc. ), sometimes pineapple or lemon juice especially with animal proteins. Here’s how to make and use a marinade: in a large glass container with an air tight lid or you can use a large ziploc bag, whichever you have handy, add diced or chopped vegetables of your choice along with the marinade. Give it a good shake or stir until everything is coated evenly and store in the fridge overnight or for a couple of hours before cooking. Fish or chicken with olive oil, lemon, pineapple, and dill – one of our favorites to grill! Good ole’ grilling! Everyone is familiar with the world of grilling in the summer, it’s synonymous with pool parties, BBQ’s, and summer gatherings – but what about grilling vegetables? So much of the focus is on the BBQ with animal proteins, which is fine, but let’s give the plants and vegetables a bit more love with these fun recipes to try on the grill. Grilled romaine salad: take a head of romaine lettuce and cut longways, brush with olive oil and a touch of sea salt and grill cut-side down for about 4 minutes or until grill marks are visible. This is a delicious way to enjoy the flavors of grilling on a salad! Dress and serve as you would normally, I like cut strawberries and a splash of balsamic vinegar. Good ole’ vegetable skewers: to a wooden skewer, add chopped vegetables of your choice brushed with olive oil and sea salt, grill for about 10 minutes or until tender. For obvious reasons, having a recipe toolkit loaded with your favorite frozen treats is a must have for summer! Here are some tasty and nutrient dense ways to beat the heat. Added bonus, like all NS recipes there’s no added sugar so many of these are low sugar friendly, gut friendly (hello fiber), and loaded with antioxidants. Check out the recipe page for hundreds more ideas with recipes to try this summer!